The perfect introduction to Thomas the Tank Engine! All the engines love springtime! Read about this special season on the Island of Sodor, when flowers bloom and lambs are born and the most exciting day of all - the day of the Great Sodor Easter Egg Hunt! My First Railway Library is a great way to pass on the tradition of Thomas. The perfect introduction to Thomas the Tank Engine! All the engines love springtime! 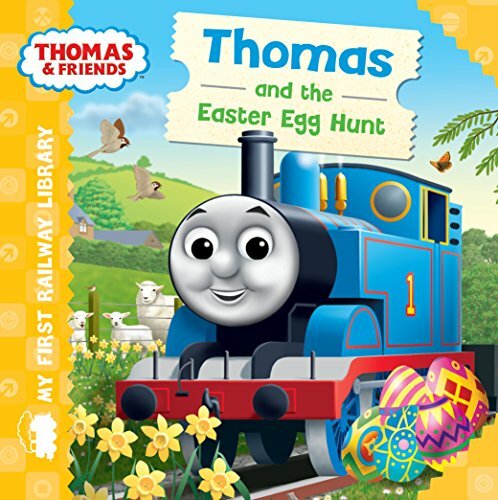 Read about this special season on the Island of Sodor, when flowers bloom and lambs are born and the most exciting day of all - the day of the Great Sodor Easter Egg Hunt! My First Railway Library is a great way to pass on the tradition of Thomas. With bright colourful pages and rhyming text, children aged 2 and up will love meeting classic characters such as Percy, James, Gordon, and Toby down on The Fat Controller's railway. Thomas & friends have been teaching children lessons about life and friendship for over 70 years. Thomas ranks alongside other beloved character such as Paddington Bear, Winnie-the-Pooh and Peter Rabbit as an essential part of our literary heritage.